We cover news from more than 5 sources i.e. The Hindu, Times of India, Indian Express, Economic times and PIB in our daily cur rent affairs video analysis. Access to current affairs will be provided up to December 2022. 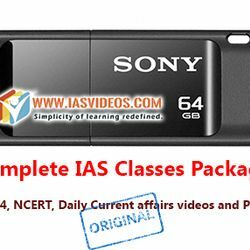 Previous current affairs videos upto the date of joining will be available on our website . The future current affairs after shipping the pendrive upto the date of expiry will be provided through website only. Material will be provided in both PDF and video form.